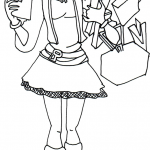 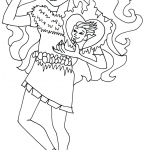 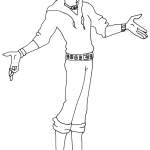 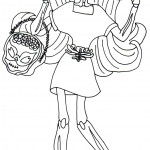 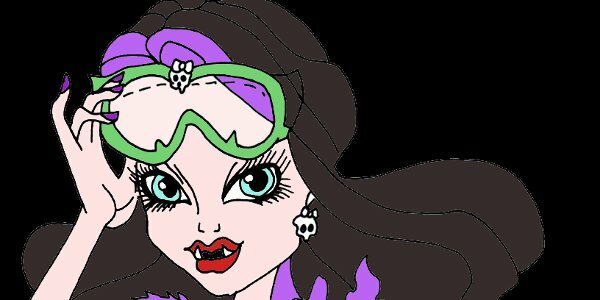 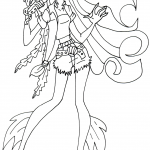 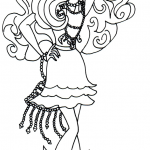 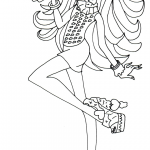 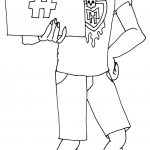 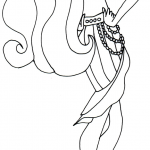 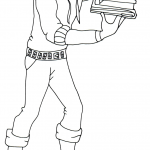 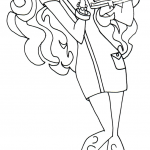 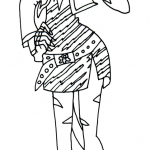 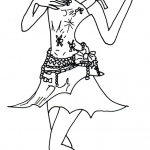 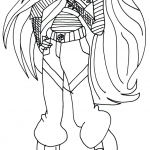 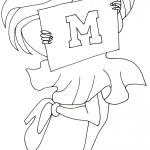 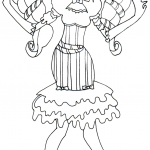 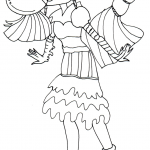 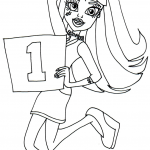 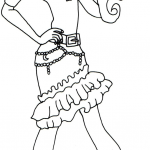 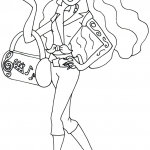 Welcome by the Monster High coloring pages. 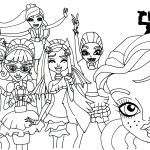 The Monster High franchise includes many consumer products such as stationery, bags, key chains, various toys, play sets, video games, TV specials, a web series and direct to DVD movies. 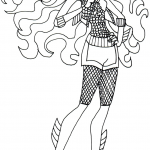 Lisi Harrison is the author of the Monster High books. 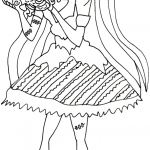 The characters are depicted as being either related to or as offspring of famous monsters such as Dracula, Frankenstein’s Monster, the Mummy, Medusa, the Creature from the Black Lagoon, the Phantom of the Opera, and zombies and more. 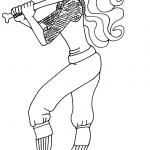 The franchise is distinctive due to its extensive use of humorous horror puns such as referring to female characters as ghouls, rather than girls. 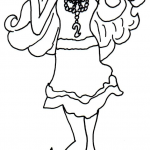 Each doll comes packaged with accessories such as a pet, a purse, diary, doll stand and hair brush and sometimes an extra outfit. 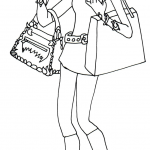 The pets, diaries and purses are unique to each character. 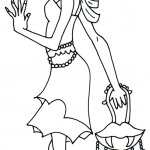 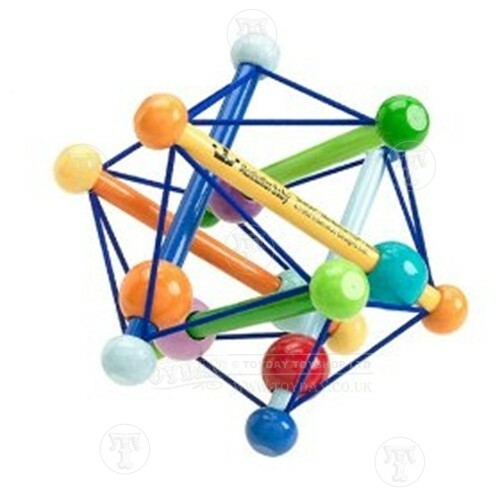 However accessories vary from one line to another and some lines do not come with any accessories included. 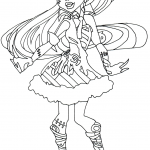 But all the Monster High coloring pages will give you the ability to color in all the dolls.